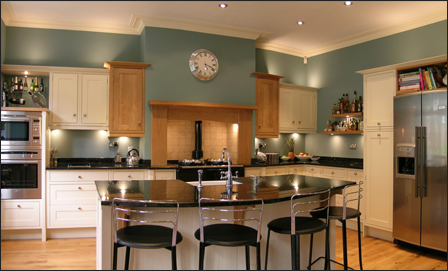 We are a family run business specialising in the design, supply and installation of high quality fitted kitchens and appliances. With a wealth of ideas based on 35 years of experience within the kitchen industry, it is our aim to provide the complete service from concept to completion. All aspects of building preparation and installation are fully project managed, offering that "personal touch" so often lacking in business today. A free design consultation is provided with plans and 3-D sketches. 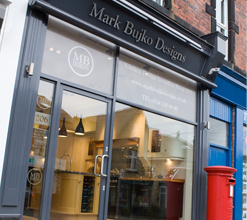 We will guide you through the comprehensive choice of styles now available, from the crisp clean lines of contemporary finishes to the timeless charm of bespoke hand made and painted traditional door styles. We are absolutely thrilled with the kitchen design! Our new kitchen layout is just brilliant. I'm so utterly delighted! It has changed our lives, we keep looking at our kitchen in awe and can't believe how different and wonderful it now is!